You don't come here for the sales. 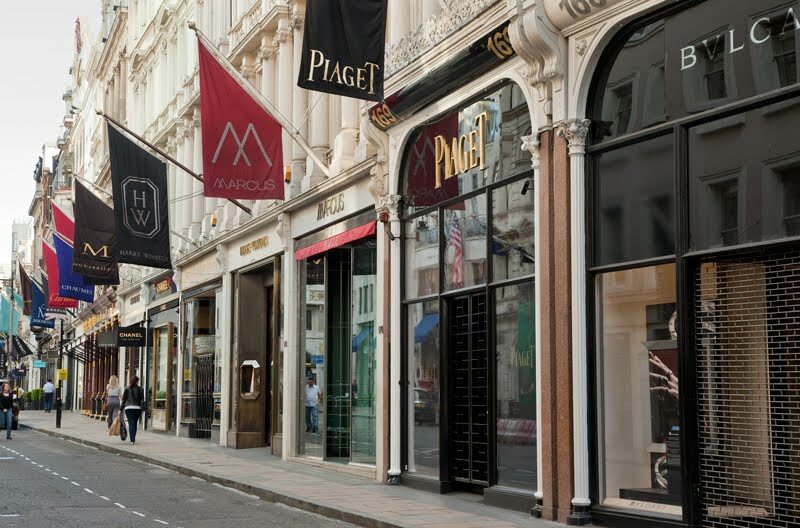 Last year named the most expensive retail location in Europe. Luxury stores have been here since the early 18th century. Expect security guards at the door of many of the stores. Designer labels, bespoke shoes, enormous handbags, (recently popular with the smash and grab moped gang. Jewellery so expensive they now have a digital version of tiaras for you to try on. (Perfect accessory for a royal wedding.) Pop into Sotheby's for a couple of old masters for the walls. Even the air smells rich! That place was not made for me. Window shopping only, I think! It's one of those streets where you can look but not touch. you definitely have 'the eye' -- would love to see you take this to the next level!